When surfing on the Internet, it is really common to see a screen recording video or game tutorial of recorded screen. Curious about how to record the screen? With iSkysoft Video Converter Ultimate for Mac, you could easily achieve that with few clicks. Apart from tutorial recording, you could take advantage of this to record those "unable to download" videos or movies! 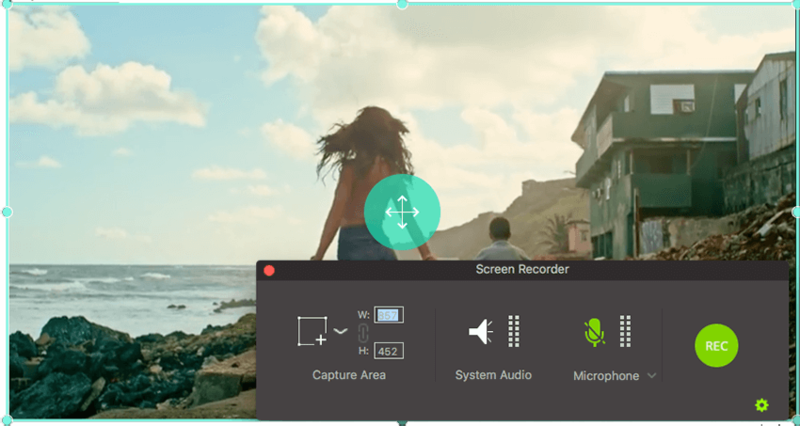 Open the software program and access the video file you wish to record. Click on the “Record Video” button to start the recording process, from where you can adjust the target screen by moving the cross icon in the middle or draging the borders of the frame. Alternatively, you can choose “FullScreen” for better recording performance or specify the capture area by inputting width and height. Select to stop at the specific time when you want to stop recording by clicking the Stop icon or pressing ESC key. The recorded video will be listed on the "Finished" tab. You can right click the recorded video to specify the next step, adding the video to transfer list, convert list or burn list. Or click the folder icon to locate the recorded video if you prefer to do nothing to the video.